This week has been gorgeous (on and off, lol!) and we've been pretty busy here. First off, my husband finally got transferred! Yay! He's about 5 minutes from our house now so that will cut 2 hours of drive time off of his days. My daughter went to her first baseball game this week with her bestie and family! She thought it was pretty cool! I don't know what possessed me, but I chopped about 5" off of my hair. I guess I do know what possessed me, but it was a pretty impromptu thing. I talked about changing my bad hair habits, I'm using a great strengthening shampoo, and I switched to silk pillowcases and my breakage is finally growing out, but having so much breakage made my super-long hair appear very thin. I knew I would need to cut it slowly, but I just couldn't wait, lol, so chopped it got. I like it, but I miss the length. I got something else in the mail this week, too: My Sephora Play box! I was pretty excited when I opened it up. It had no skincare this time and was all makeup or perfume, which is what I love playing with the most. 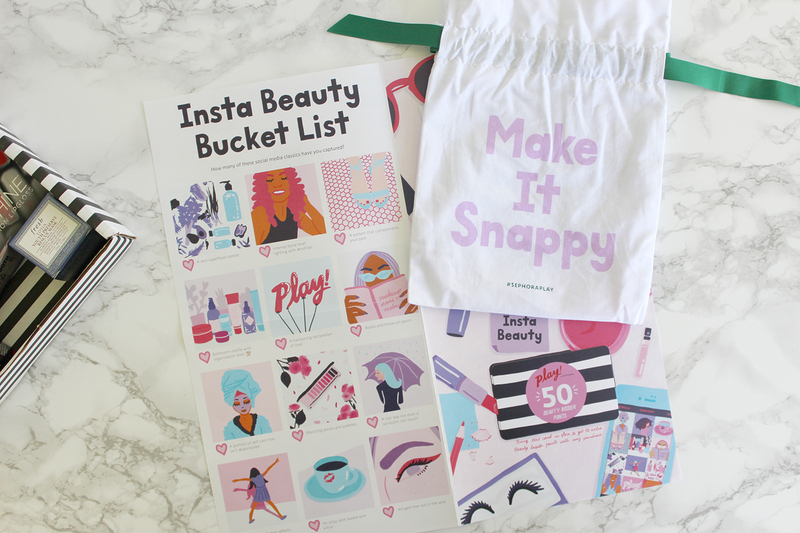 This month's theme was Instagram-ready beauty products, and looking at the brands I was super-excited, but afterward was mostly disappointed. First off, it came with the usual cute drawstring bag (seriously, I'm taking suggestions on what to use all these cute little bags for!) and a PlayPass. 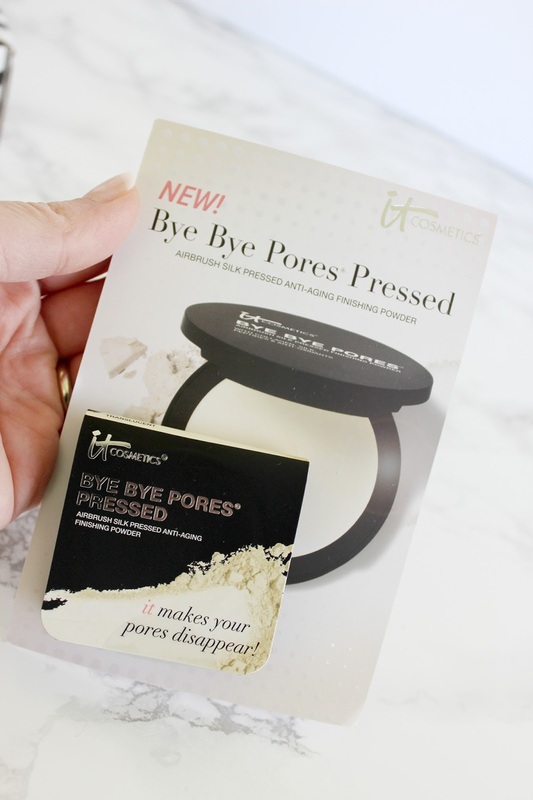 I was a little disappointed to see this Bye Bye Pores pressed powder from It Cosmetics. Not because it's not a nice powder, but because I have it already. 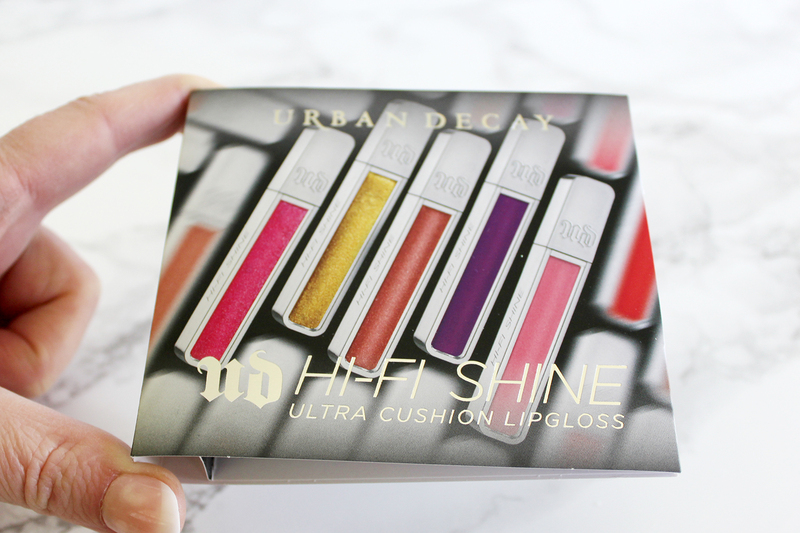 I thought this would be a nice little version I can pop in my purse to cut the shine during the summer while I'm out and about, then I opened it up. I actually have a ton of products from It Cosmetics. Some are bombs, but some have become my holy-grail products. 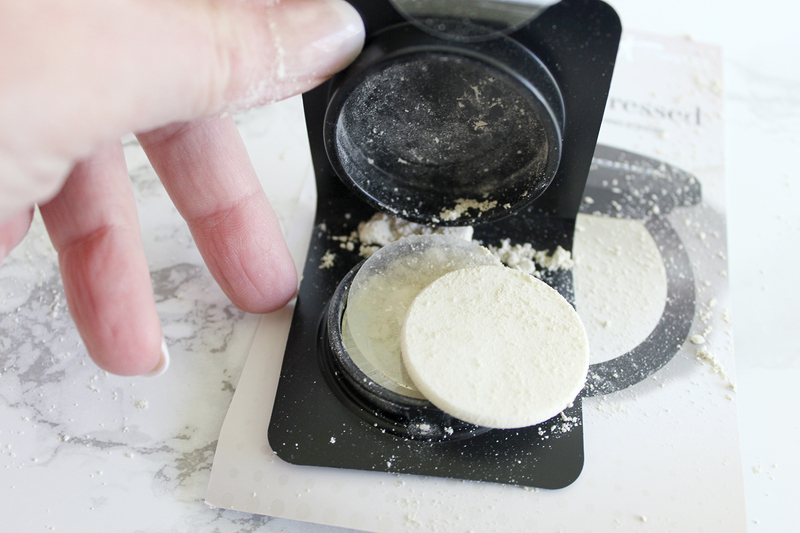 Would you like to see a review of my It Cosmetics collection? Let me know in the comments. 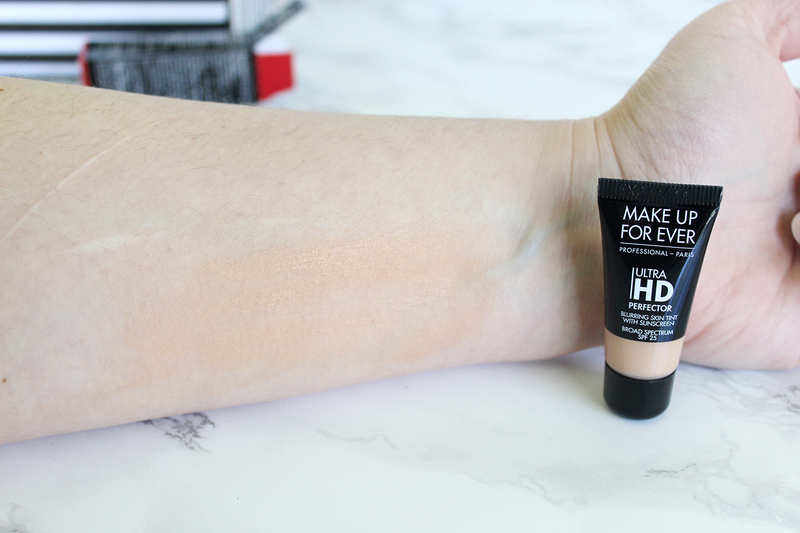 Next up I tried the Makeup Forever Ultra HD Perfector. Sephora is usually really good about putting the right colors for your skin tone in the box (you give them that info when you sign up) but this was NOT a match at all. Maybe this is the lightest color they make for this product, but I doubt it. 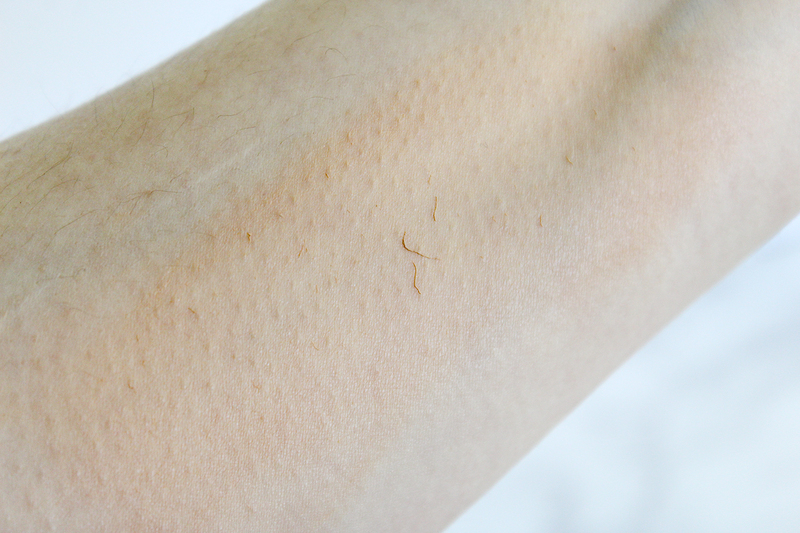 This was a major flub as I won't even be able to try it on my face, but I wasn't too jazzed to do that anyway once I took a swipe at it on my arm. This happened when I rubbed my fingers across it. The product balls up. No, thanks. 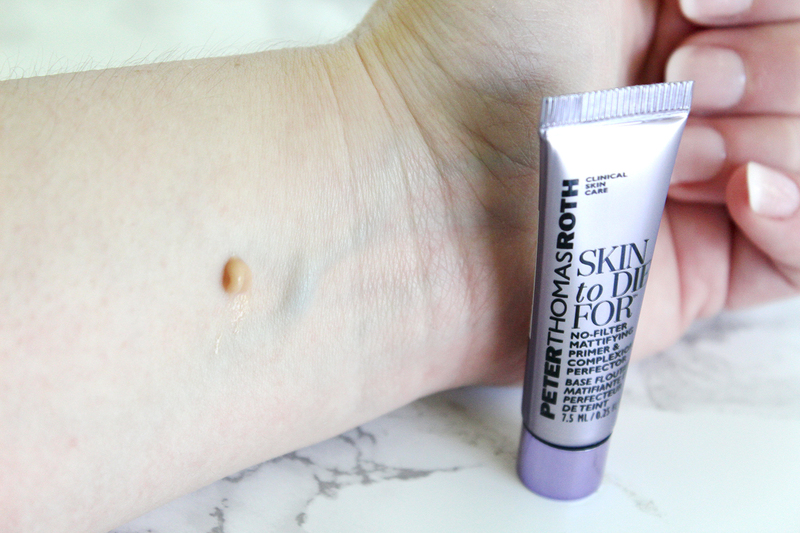 I then scrubbed that off and tried this Peter Thomas Roth Skin to Die For mattifying primer. 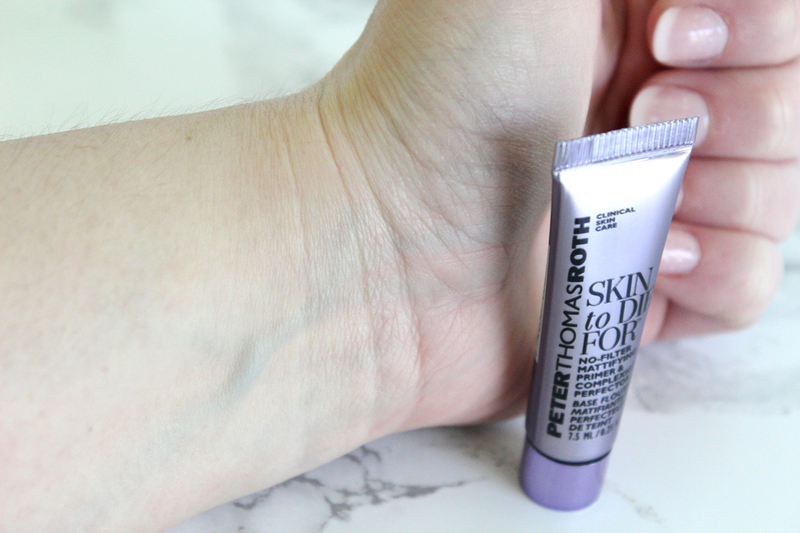 It was tinted and looked a bit dark, but it blended in when applied perfectly and it left my skin feeling smooth and silky. I like it. 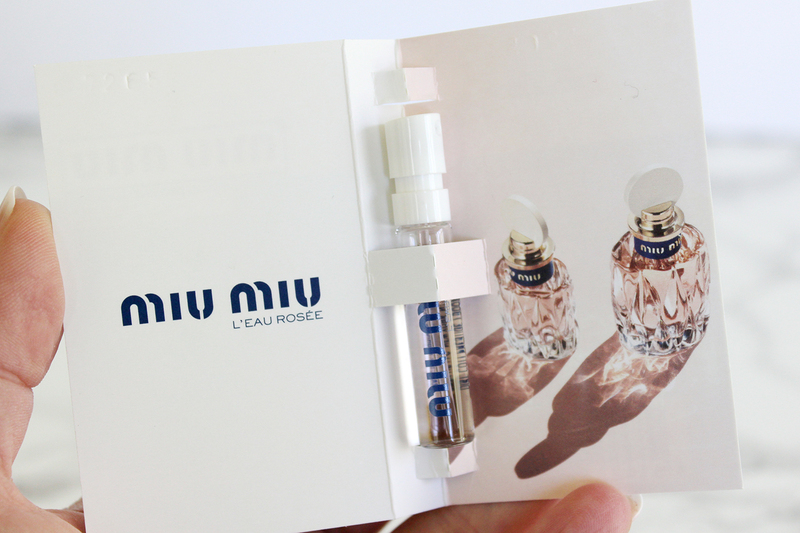 Next up was a sample of Miu Miu L'eau Rosée. I was expecting to love this, and I love trying out perfumes in general, but it wasn't to be. It was nice, but it had too much pink peppercorn. It was very, very...peppery and powdery. 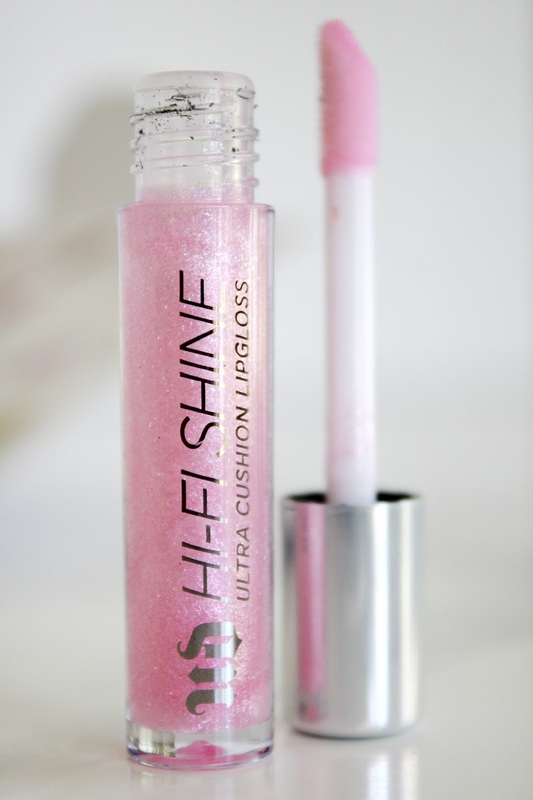 I was also ridiculously excited to see this sample of Hi-Fi Shine lipgloss as I love Urban Decay. Not as excited when I opened it up. 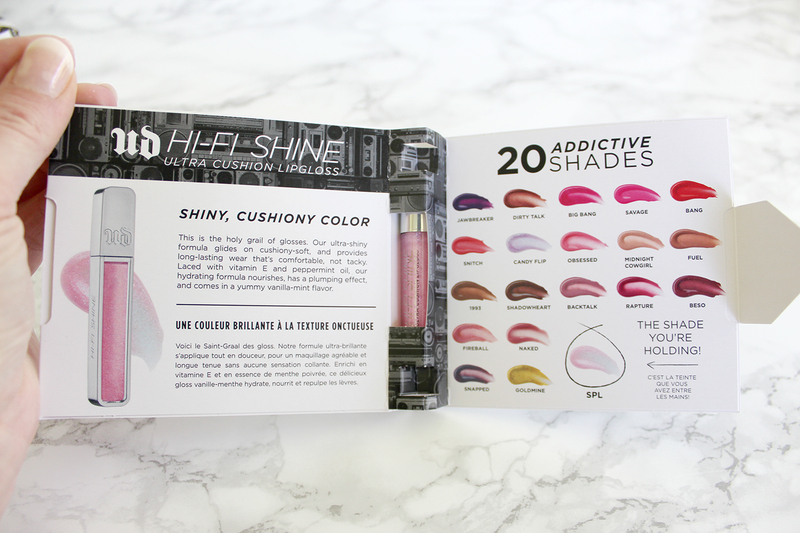 The shade they sent looked like what a little girl would pick as her first gloss from the drugstore. It's a holographic super-light pink with flecks of blue, silver, and purple. Ugh. Neverwear. I LOVE masks. 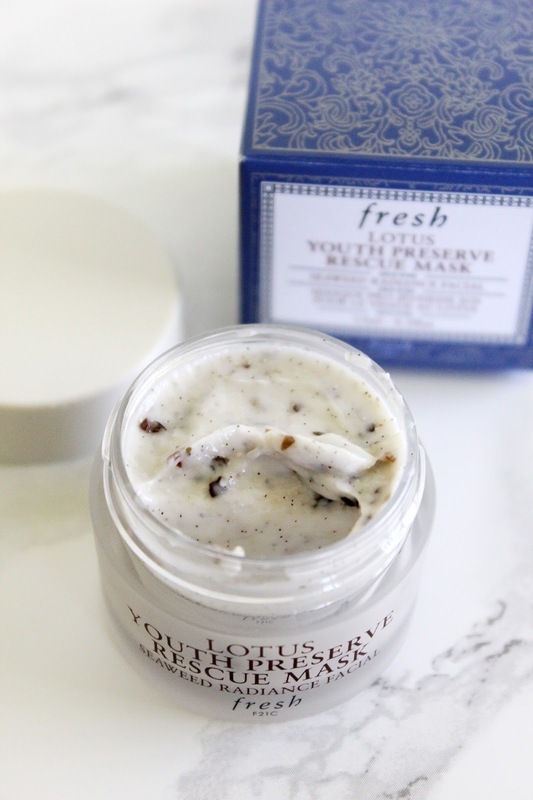 Love them, so I was good receiving this Fresh Lotus Youth Preserve Rescue Mask. It smelled very fresh and natural. I haven't tried it out yet, but I'm excited to. :) Yay for the one thing in the box I might like!! Does anyone else subscribe to beauty boxes? Which ones and what do you think of them? How has your week gone? I love to read your comments!